Jeff Appel — a mortgage industry veteran and former president of Town Residential — is becoming a broker. Appel has joined Halstead Property where he and husband John Caraccioli — an agent with 27 years of experience — will form the Caraccioli Appel Team, he said. Most recently a loan officer at Bank of America, Appel said becoming an agent was a move he’s wanted to make for a while. “It got delayed and put off, and finally I just decided the time came,” he said. Appel was a vice president at Citibank when he joined Town Residential in 2010 as the firm’s director of professional development. He was elevated to president and COO in 2013, and briefly led the firm amid a dispute between founder Andrew Heiberger and the company’s then-equity partner, Joseph Sitt’s Thor Equities. Appel was pushed out when Heiberger returned to Town as CEO in 2014. In addition to work for Bank of America, Appel has been actively investing in real estate in upstate New York for the past two years, buying 17 properties in Syracuse, Ithaca, Binghamton and Albany. At Halstead, Appel will focus on both New York City resales and his upstate portfolio. As a broker, he said he already has thousands of contacts from his mortgage business days. 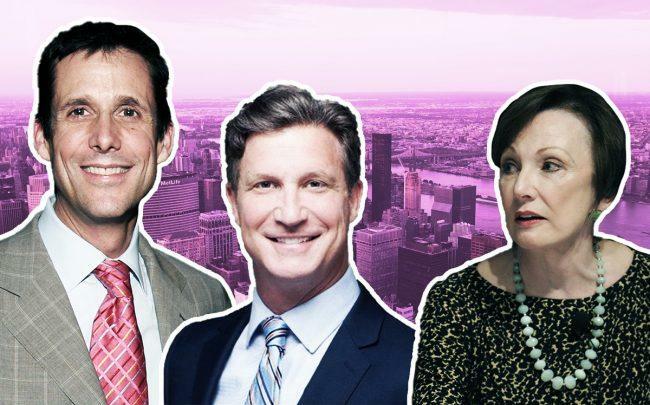 Halstead is the third-biggest residential firm in Manhattan with 828 agents, according to The Real Deal’s annual ranking of top brokerages. In 2017, Halstead closed 795 sell-side deals valued at $1.23 billion.